It’s really late and you should have really had your house looking Halloween(y) like a month ago. But nevertheless, it’s never too late for Halloween. We’ve done some fetching around and have collected 10 easy ideas that you can pull off at the last moment and have a spooky set up for in place, just in time for the trick or treaters. Follow us on Pinterest for more. 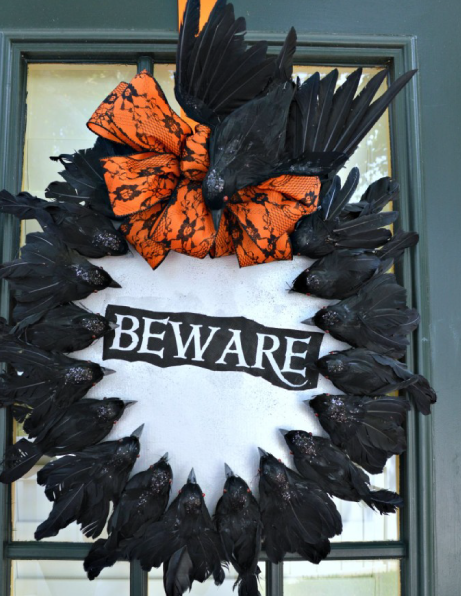 This creepy crow Halloween wreath made with plastic birds is an easy and simple craft that will have your guests hesitant to ring the doorbell! 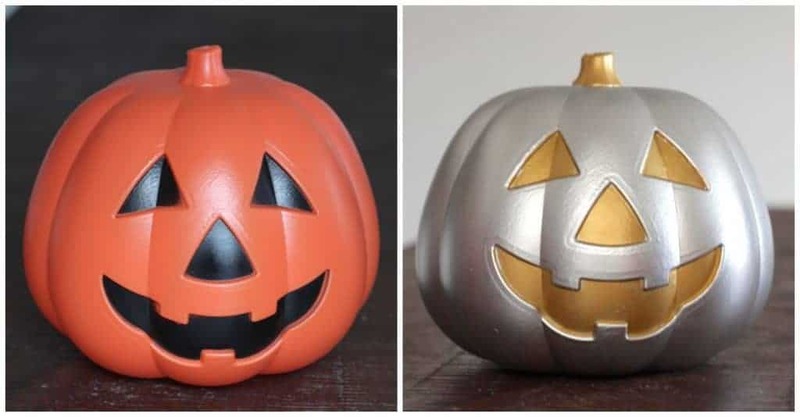 Turn a cheap orange and black plastic pumpkin into a metallic Jack-o’-lantern with a gilded shine. 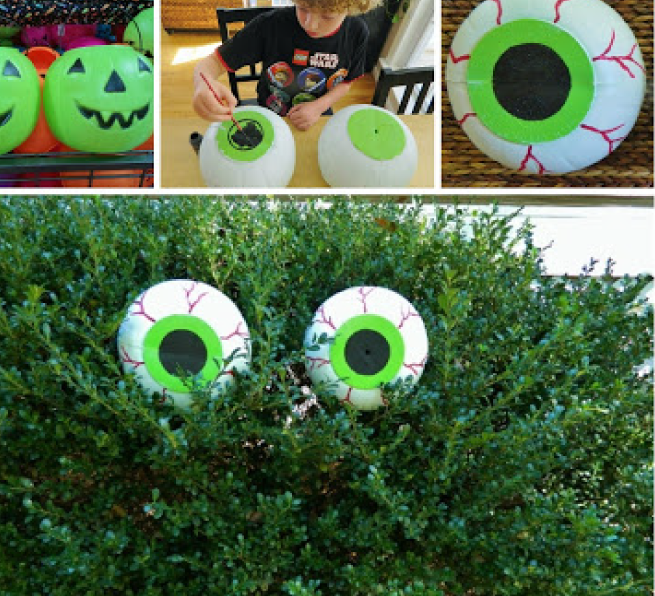 Spruce up your yard with these spooky bush eyes! The coolest thing about this idea is that they are made out of plastic pumpkin trick or treat buckets! 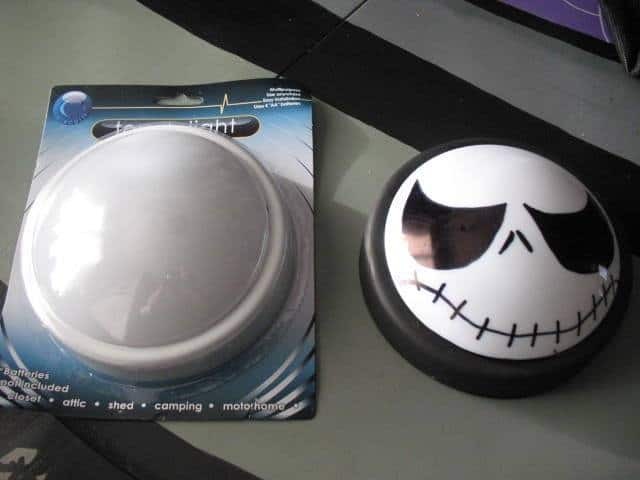 Get a dollar store touch light with base painted black and use a black marker to draw the face of Jack Skellington. Super easy! 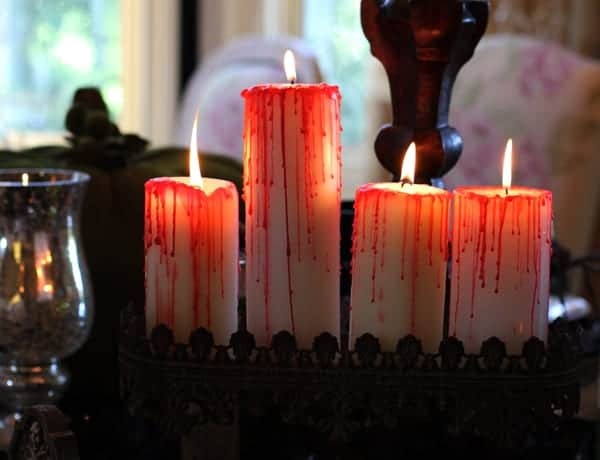 All you need is a red candle, a white candle, and a lighter. Need we say more? 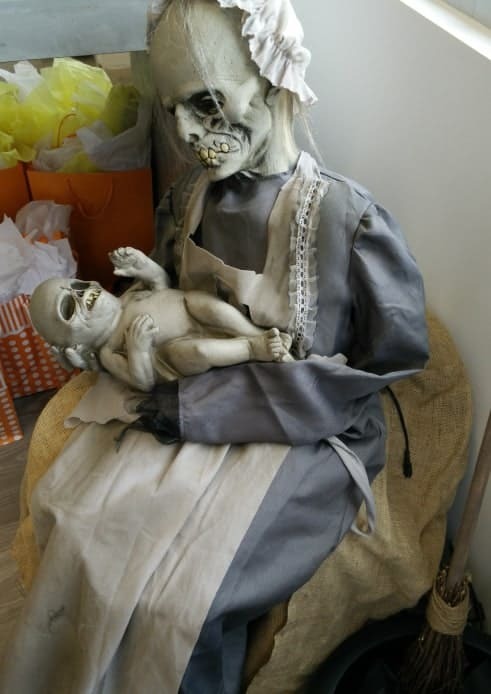 Head to your local Halloween Alley store and find crazy animatronics, the swinging clown or the creepy doll, the rocking mommy skeleton, any one that you find the most scary. Place it in an unexpected spot and watch your trick or treaters get the shock of their lives. 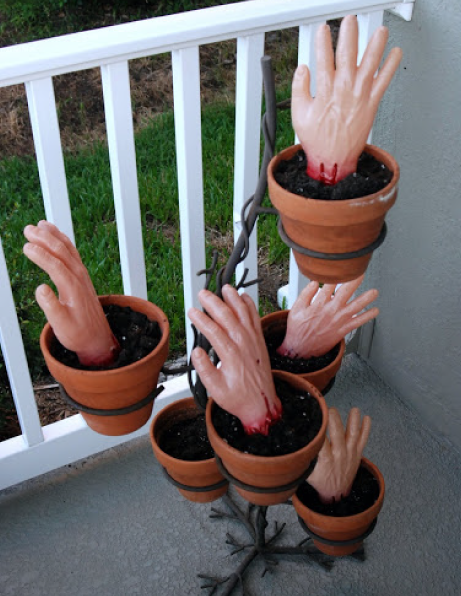 Using a few severed hands and a plant stand, you will be able to create this simple yet creepy outdoor decor. 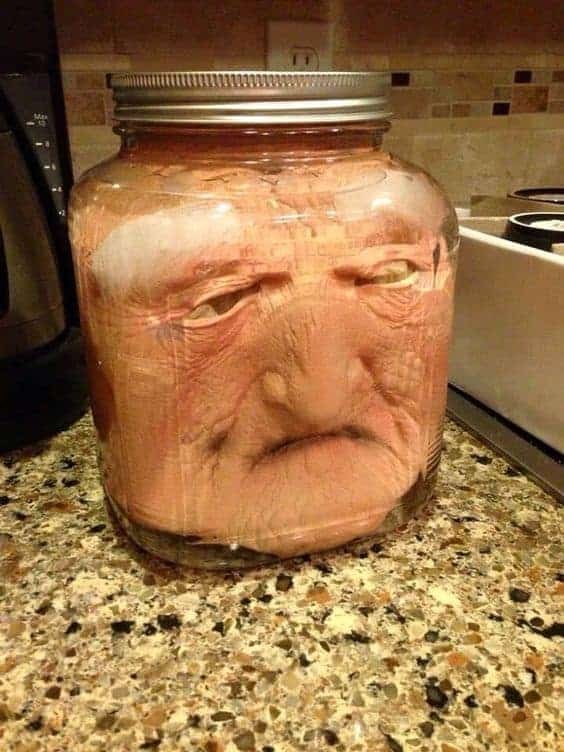 Put a mask in a jar, fill with water and a glow stick. Put in the porch and see how many candy snatchers you get for Halloween. 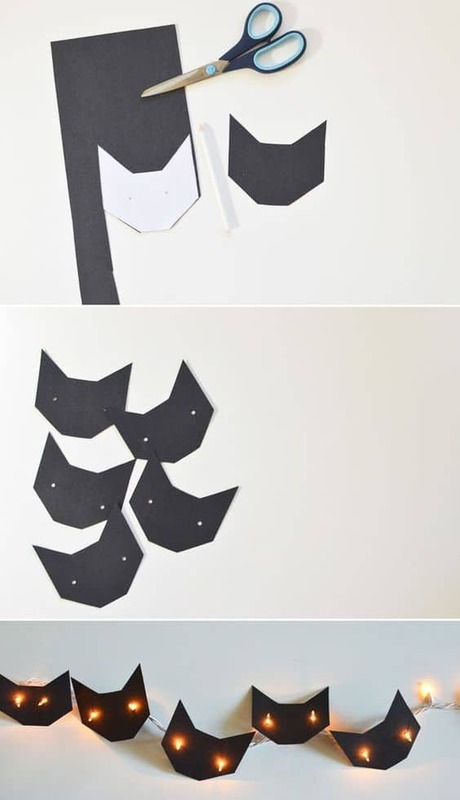 Use simple black craft paper to cut cat faces out and paste them on your Christmas lights. You will have the best looking Halloween lights ever! 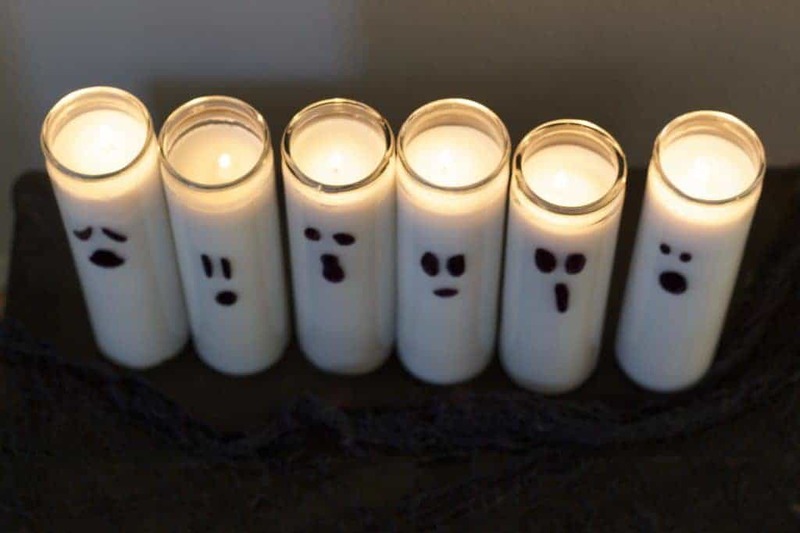 With these great ideas, you are set to scare (or welcome) the little trick or treaters. For more Halloween fun you just gotta get up and head to your nearest Halloween Alley.